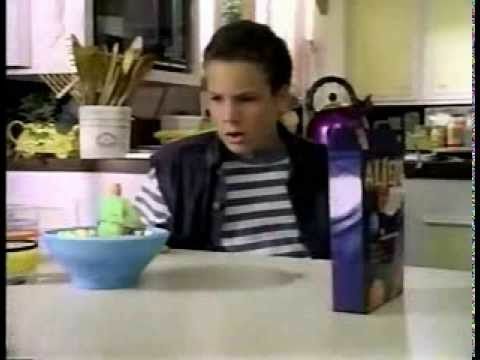 What's the Difference between Aliens for Breakfast the Book and Aliens for Breakfast the Movie? Henry was planning on going to Dorf house watching Mad Max movies on Saturday, and Dorf invited Richard, but Richard turned down the offer cause he knew what Dorf was up to. Dorf was gonna have a big welcome party at Henry House, with other students. Henry invited Richard but he turned down the offer since he knew was Dorf was up to. Dorf suspects Richard is on to him, and know he's an alien. So he makes Richard's fingers bleed, and Richard has to go to the nurse and have his fingers all wrapped in band-aids. Dorf suspects Richard is on to him so he makes Richard feet be in pain and turn blue, and the next day he makes his hands turn blue. Richard has to end up wearing gloves to hide his blue hands til the end of the movie. Dorf don't almost find out about Aric. Dorf almost do find out about Aric, when he see's something moving in Richard's vest pocket. The book starts out with Richard sitting on his bed telling his mom he hates his new black/white chuck sneakers, while he ties them up. The movie starts out with Richard alarm clock waking him up. Richard gets his new black/white chuck sneakers and holds them toward the camera and tell the viewer he hates his shoes. When Richard empty all the food out in the kitchen to find to stop Dorf, Richard suggested to Aric to go to the mall and find the food, since it wasn't at home. Plus Richard mom was still at work. Richard don't say nothing about cleaning up the mess. Plus this happens later on the first day, which was Thursday way after he met Aric that morning . Before Richard empty all the food out of the kitchen to find to stop Dorf. Richard mom had just came from Grocery shopping after work, Richard suggested he would put up the Grocery while she leave the house and go do something else. After Richard empty out all the food all over the kitchen and still hadn't found the food to stop Dorf and suggested to go to the mall to get the right food, he also said to Aric they should clean up the mess, and Aric said they need to get to the mall fast! This happens later on the 2nd day, a day after he met Aric and this was on Friday.